Rockstar Games have announced that Red Dead Redemption 2's multiplayer component, aptly named Red Dead Online will launch some time in November 2018 in the form of a public beta. Rockstar stated the reason for the multiplayer not being available at launch as “with most online experiences of this size and scale, there will inevitably be some turbulence at launch”. This is a very similar content road map to what we saw with Grand Theft Auto 5, which started off a bit rocky, but soon found it's stride and became a phenomenal success for Rockstar. 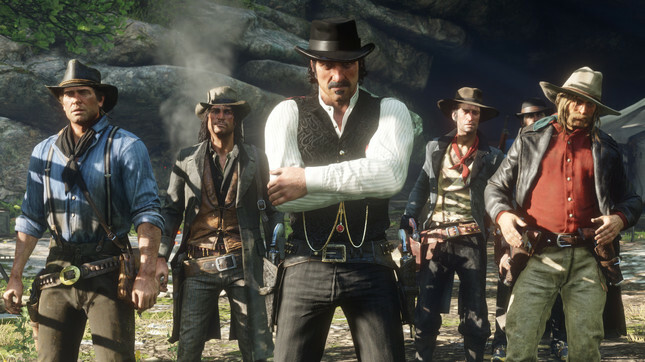 Rockstar also stated, “Red Dead Online is an evolution of the classic multiplayer experience in the original Red Dead Redemption, blending narrative with competitive and cooperative gameplay in fun new ways. Using the gameplay of the upcoming Red Dead Redemption 2 as a foundation, Red Dead Online will be ready to be explored alone or with friends, and will also feature constant updates and adjustments to grow and evolve this experience for all players." Fans of GTA Online need not worry about their game being left to die either, as Rockstar still has big plans and will support both titles moving forward. All you'll need to access the beta is a PS Plus or Xbox Live sub and a copy of Red Dead Redemption 2. It's going to be interesting to see how many fans make the jump from GTA Online to Red Dead Online for some criminal cowboy multi-player antics. Will you be checking out Red Dead Online or are you just in it for that sweet, sweet single-player experience?